Paul van Dyk managed to release some big trance tracks in 2016, including his remix with Alex M.O.R.P.H. on ‘We Are’. 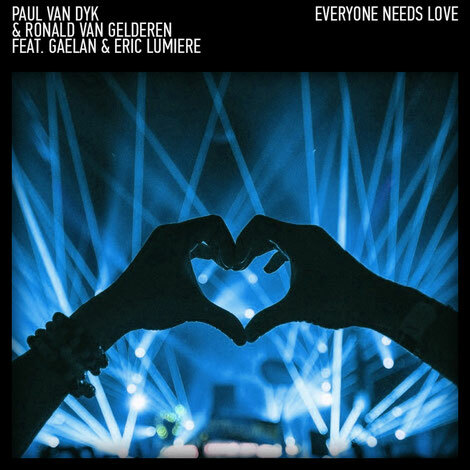 This month, with ‘Everyone Needs Love’, PvD returns for his last musical dispatch of the year. For it, he’s assembled in the studio with Dutchman Ronald van Gelderen and the quartet’s completed by US-based singer/songwriters Gaelen and Eric Lumiere. Combining a locomotive bottom-end with a aerodynamic top, with chemistry most evident, the Original Mix of ‘Everyone’ unites Gaelen & Eric Lumiere for its vocal fulcrum. Edging the track onto later night ground, Paul’s VANDIT Mix squeezes the tempo gas, lets the cables rush and the speakers’ roar. Heftier beats and lower frequency bass flow through its classically built PvD Club Mix, pushing it into peak-night territory.